This book relates the history of Italian railways with special regard to their relation with the Italian state from the 1840s, when the first lines were constructed, until nationalization in 1905. It shows that while the Italian state interfered continuously in railway matters, it was nevertheless incapable of creating viable conditions for railway companies. Throughout the nineteenth century 'the railway question' continued to have a pernicious and divisive influence on Italian political life; and because of the low quality of railway regulation, and other factors, the railways' contribution to the creation of a national market and the economic unification of the country was limited. 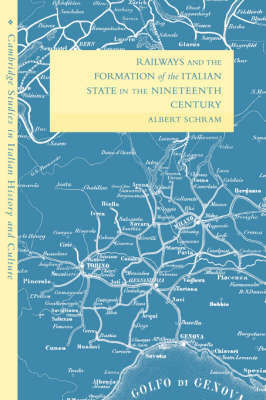 The book also examines Italian regional social and economic statistics before and after political unification in order to obtain a deeper insight into the continuing disparity between northern and southern Italy. Finally, the book places the development of the Italian railways in a European context, and compares their construction with those in Germany.